Adkin, Mark. 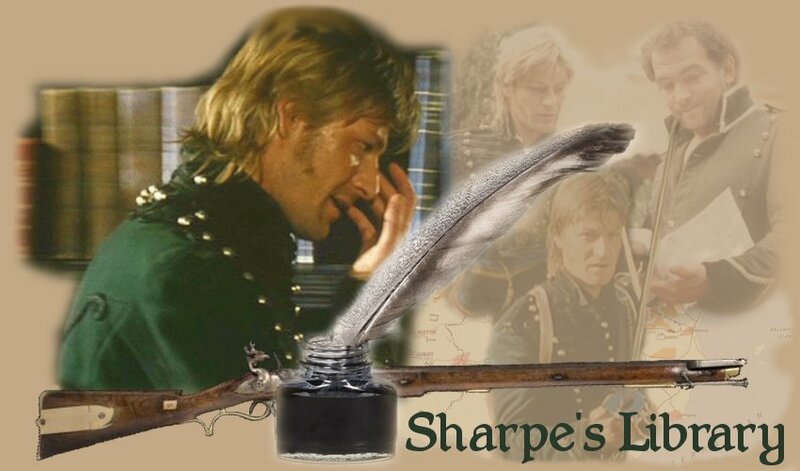 The Sharpe Companion. Harper Collins Publishers. London. 1998. Brett-James, Antony. Life in Wellington's Army. Tom Donovan. London. 1994. "An account of the references and sources used in reproducing the uniforms, arms and accoutrements of the re-created Colonel's Company of HM33rd Regiment of Foot"
Featherstone, Donald. Wargaming in History: The Peninsular War. Argus Books. Hertfordshire. 1991. Glover, Michael. Wellington's Peninsular War Victories. Windrush Press. Gloucestershire. 1996. Haythornthwaite, Philip J. Uniforms of Waterloo. Serling Publishing Co. New York. 1991. Haythornthwaite, Philip J. 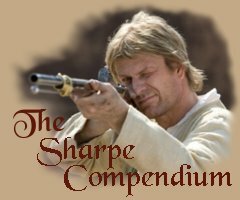 Weapons and Equipment of the Napoleonic Wars. Arms and Armour. London. 1996. Hibbert, Christopher (ed). The Wheatley Diary. Windrush Press. 1964. Hibbert, Christopher (ed). A Soldier of the 71st. Windrush Press. 1997. Hibbert, Christopher. Waterloo. Wordsworth Editions. London. 1998. Hibbert, Christopher. Wellington, A Personal History. Harper Collins Publishers. London. 1998. Isemonger, Paul Lewis. Wellington's War. Sutton Publishing. Phoenix Mill. 1998. King, Dean. A Sea of Words. An Owl Book. Henry Holt & Company. New York. 1995. Longford, Elizabeth. The Years of the Sword: Wellington. Panther Books. London. 1971. Myerly, Scott Hughes. British Military Spectacle: From the Napoleonic Wars Through the Crimea. Myerly, Havard University Press. Cambridge, Massacusetts. 1996. Paget, Julian. Wellington's Peninsular War. LeoCooper. London. 1996. Reid, Stuart. British Redcoat 1793-1815. Reed International Books. London. 1997. Windrow, Martin & Embleton, Gerry. Military Dress of the Peninsular War 1808-14. Windrow & Greene LTD. London. 1991.